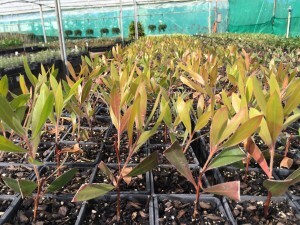 The development of a Strategic Investment Plan for the nursery industry is underway, with several opportunities for growers and others along the supply chain to have input. Horticulture Innovation Australia (Hort Innovation) is working with the nursery industry to identify the key priorities areas for nursery levy investment in research and development (R&D), and marketing, for the 2017-2021 period. The first way to have input is to talk to representatives from Nursery and Garden Industry bodies – both national and state– ahead of a workshop they’ll be attending later this year. An online survey will be circulated on Tuesday 13 September, providing stakeholders with an opportunity to reflect on where the industry is now, where it needs to be in 5 years, and how to get there through R&D and marketing. Once the Strategic Investment Plan is drafted, there will also be opportunities for public comment. Hort Innovation has engaged Pat Abraham from Key-Link Solutions to work with industry and develop the R&D and marketing investment plan. He has already been talking to growers around the country, and will run the workshop. It will include representatives of the state and national NGIs, along with key growers from each state and sector of the industry. The vision underlying the strategic plan is a profitable and sustainable nursery industry. The workshop will revolve around what that might look like in five years’ time, and what areas need to be targeted to help improve the demand for green life. Discussions will be held on new and emerging research tools, and how they might be utilised, as well as ways to build on the momentum created by the 202020 Vision. Biosecurity is another key area that’s already been identified as important to the industry. The plan will look at a holistic definition of sustainable: taking into account not just the benefits of greenspace for the environment, but the industry’s contribution to food and agriculture, the business environment and profitability, and the human environment involving a committed and skilled labour force. The end result will be a document outlining ways in which investment in R&D, and marketing, can help the industry to evolve and grow over the next few years. It will also guide the deliberations of the Strategic Investment Advisory Panel, when it’s considering which projects to fund.